If You use this attack it will Use your opponent will be using this face :3 Good Luck! Attack 2 : SEAL SEAL! 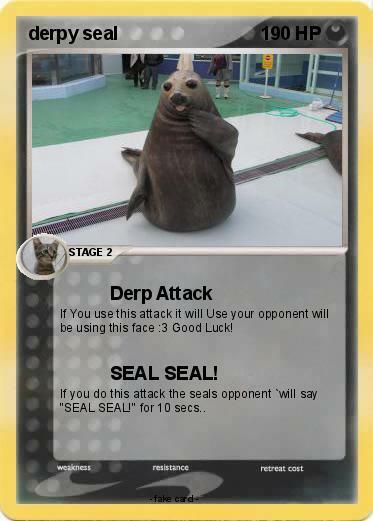 If you do this attack the seals opponent `will say "SEAL SEAL!" for 10 secs..